One more post will be devoted to our trip to Jordan, this time focusing on the ancient Roman city of Jerash just north of Amman. And, again, the text will be a simple overview, as the pictures below tell the story. 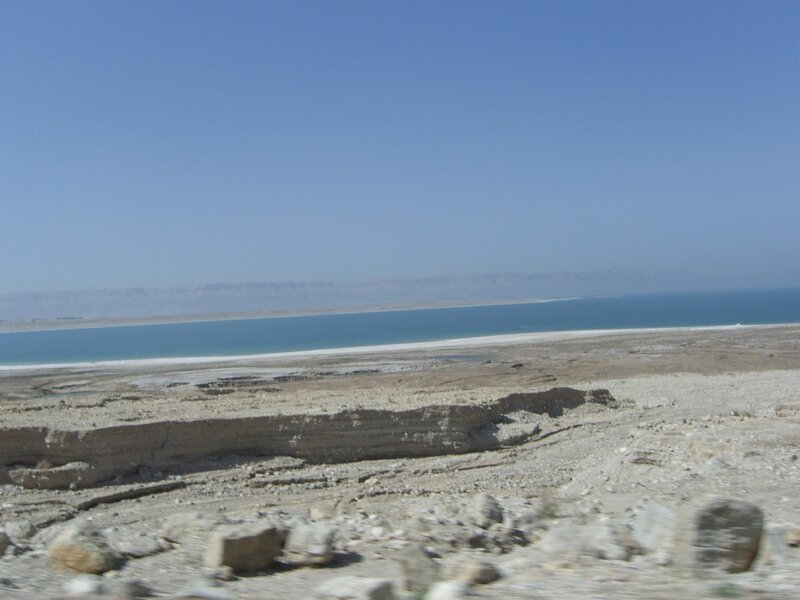 After living in the Arabian Gulf, it was interesting to travel in the part of the Arab world known as the Levant. The term “levant” is derived from the French word meaning “rising.” This was considered the point where the sun rises. The English adopted the word in the 16th century and it has stuck. After World War I, the French Mandates of Syria and Lebanon were referred to as the Levant States. After World War II, the term came to include the surrounding regions of Cyprus, Iraq, Israel, the Palestinian Authority, and Jordan. The geography in this part of the Arab world is dramatically different from the Gulf States of Saudi Arabia, Qatar and the United Arab Emirates. 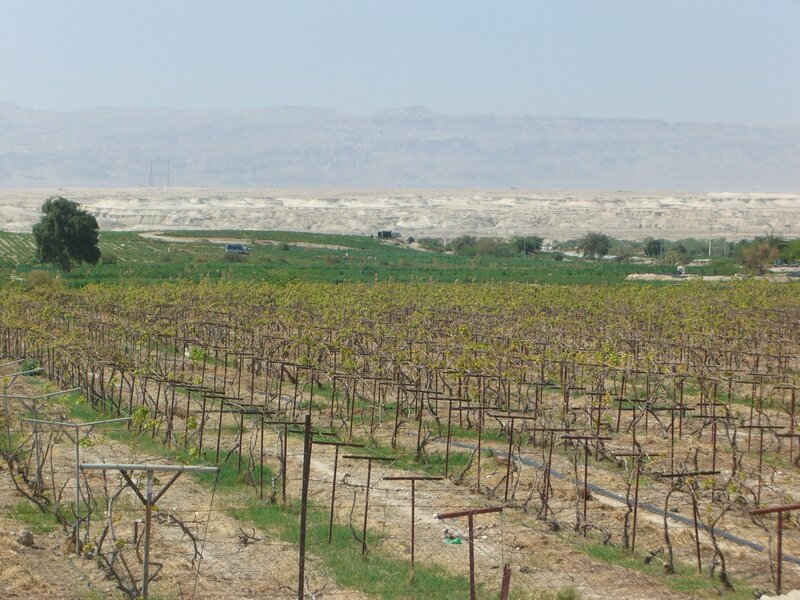 While the latter areas are arid expanses of desert, the Levant is in the Fertile Crescent, the so-called “cradle of civilization.” Although there are plenty of rugged and remote desert areas here, there are also rich farmlands, with vineyards and orchards, and abundant water sources flowing from the Tigris and Euphrates Rivers. The Levant Arabs are primarily Muslim, although there are some cultural differences between them and the Gulf Arabs. There are fewer nomads moving in caravans. Most of their homes are simple, flat-roofed concrete and mud structures. More marriages are monogamous. Jordan itself has had a relatively progressive and open government in the Arab world, with a relatively functional constitutional monarchy, a peace treaty with Israel, and more liberal policies toward educating girls. To get a full picture of Jordan’s recent history, I recommend the book Leap of Faith by Lisa Halaby, or Queen Noor, as she is now known, the American woman who became the fourth wife of the late King Hussein. Of course, it is a biased view of the accomplishments of her husband, but I learned a great deal about Jordan from this book. It is a really good read. Her story is intriguing, as at a very young age she adapted to her new home and became a public figure on the world stage during exceptionally volatile times. Walking through the valleys and hills of Jordan, looking across the Dead Sea toward Israel and Jerusalem, standing atop Mount Nebo where the prophet Moses saw “The Promised Land”, one cannot help but be deeply moved. So many events, affecting each of us, directly and indirectly, regardless of our faith, have occurred here. You are definitely in the center – indeed the vortex- of a powerful, Holy Land. 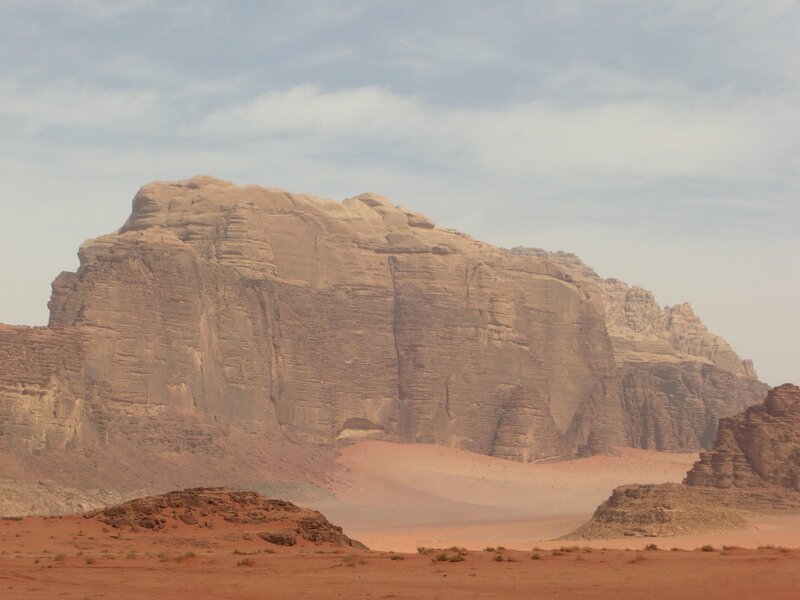 From the majestic vistas of the vast Wadi Rum, where echoes of Lawrence of Arabia reverberate among the towering sand dunes, to the ancient city of Jerash in the north, where Roman families lived centuries ago, Jordan is a country overflowing with historical, cultural and spiritual significance. Your Paul Theroux quote resonates deeply as I think about the expat experience. Look forward to discussing upon your return. Thank you, Bob, for being a loyal follower. I appreciate both your wit and your wisdom. Let’s meet again in real time and in person soon! Thanks, Rena, for continuing your writing. I am “transported” to a world I can only imagine. I have wanted to read Lead of Faith and will definitely do so now. Much love from your “home” state! Hola! I’ve been reading your site for a long time now and finally got the bravery to go ahead and give you a shout out from Austin Texas!